Well, we asked VLTIMAS for a song, and it looks like they gave us one. And (un-)holy kamoley, what a song it is! Yep, this is exactly what one would expect to hear from a band that has Flo Mounier of Cryptopsy on drums, Rune ‘Blasphemer’ Eriksen of Mayhem and Aura Noir on guitar, and David Vincent of Morbid Angel and Terrorizer on vocals. It has become fashionable of late to criticize music videos that pan around a still image rather than, say, showing a $10K+ investment in camera work, lighting, and editing. When the still image is the awe-inspiring cover art of of the upcoming Something Wicked Marches In album, though, who would dare complain? For those of us who like our India ink as black as our metal, this cover is perfection. NOW PREMIERING! The first track from our forthcoming debut album, “Something Wicked Marches In”, to be released March 29, 2019 via @seasonofmistofficial. 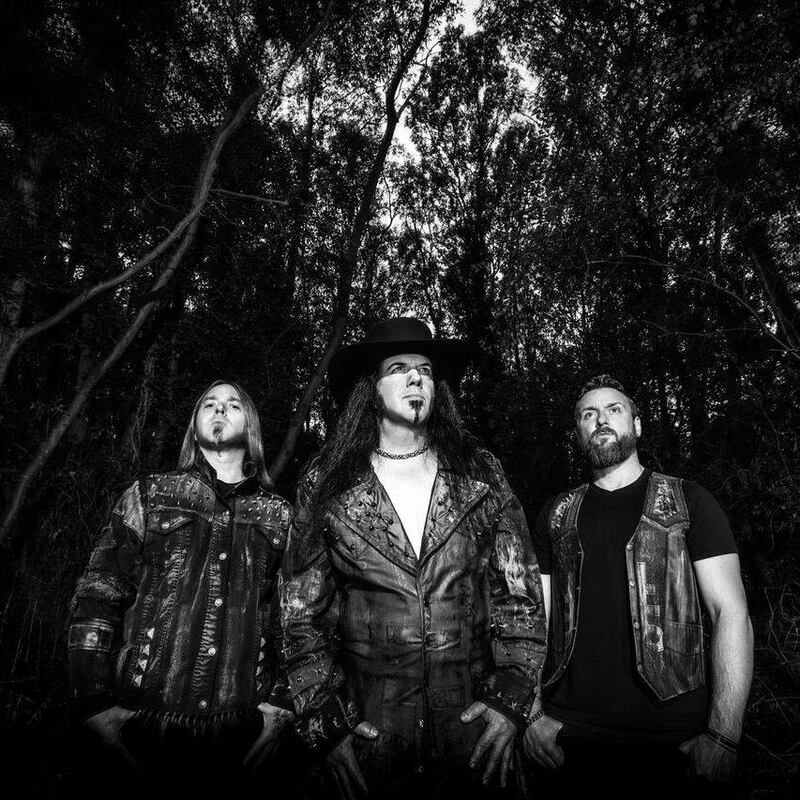 Hear it NOW on our #facebook page or on #youtube at: youtu.be/fII8IIxy-vQ @vltimas is @officialdavidvincent (vocals), @runeeriksen13 (guitar) and @flomounier (drums). “Praevalidus”, the song’s title, translates from the Latin into ‘very strong’, ‘powerful’, ‘prevalent’, or ‘prevailing’. Perhaps it would be cynical to joke that title as very fitting for a supergroup whose members range from 43 to 53 years of age (Eriksen qualifies as the ‘baby’ in VLTIMAS, having been born in 1975); one could even say the same thing about the band’s decidedly orthodox fusion of death metal and black metal. Regardless of the snark potential, the song shows VLTIMAS offering what promises to be a delightfully brutal and fun romp through metal extremism in the first quarter of 2019. Their album Something Wicked Marches In will be released on March 29 via Season of Mist. Even if it turns out to be the only album by these guys, it will likely prove to be one of the better ‘traditional’ metal releases of the coming year. For other announcements and who knows, maybe even more songs, you can follow VLTIMAS on Facebook, Twitter, and Instagram. Next PostPhal:Angst Create a Palpable Atmosphere in the New Video for "Despair II"